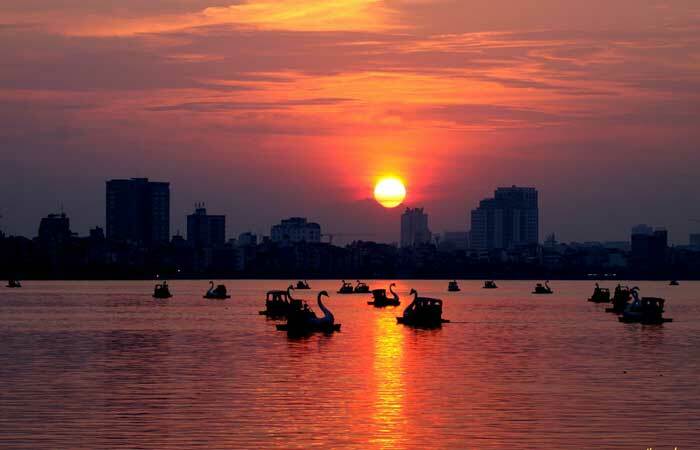 When it comes to the symbols of Hanoi capital, familiar names like Sword Lake and the Thang Long imperial city are outstanding but another one no less popular with its inhabitants and inseparable from the soul of Hanoi is West Lake. 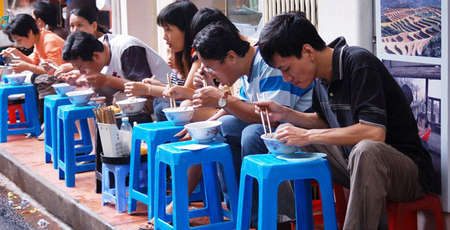 In this article, Authentik Travel will take you on a tour around the most pictureques lake of Hanoi! 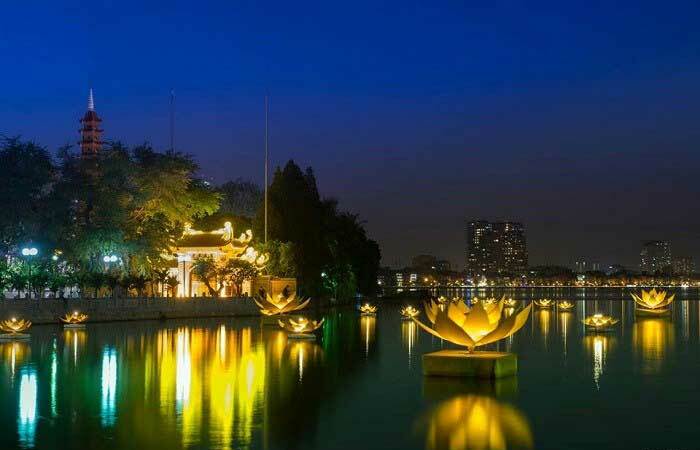 As a home of many historical and cultural relics associated with the up and down history of Thang Long ancient Citadel and Hanoi, West lake or so called "Ho Tay" is one of the most famous landmarks in the capital. 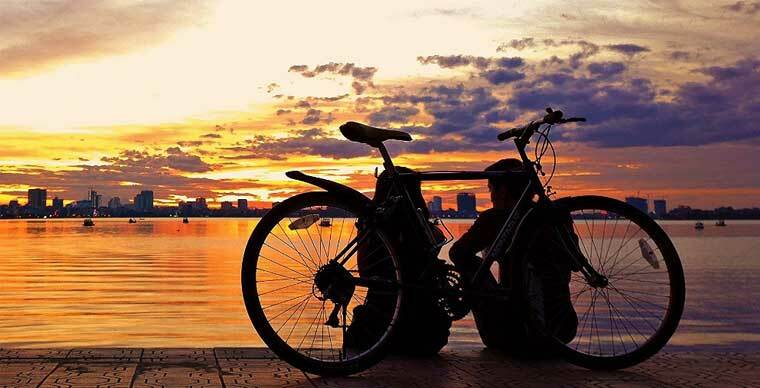 Not far from the city center, with its picturesque views, it lures couples in dating, residents strolling around and tourists who find a place nearby Hanoi to escape the hustle and bustle of the crowded city. 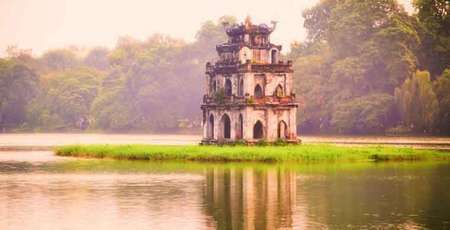 It is known as the largest natural lake located in the Northwest of Hanoi with an area of about 500 ha and nearly 20km in circumference. According to some historical documents, this lake is created from a curved part of the Red River thousands years ago. 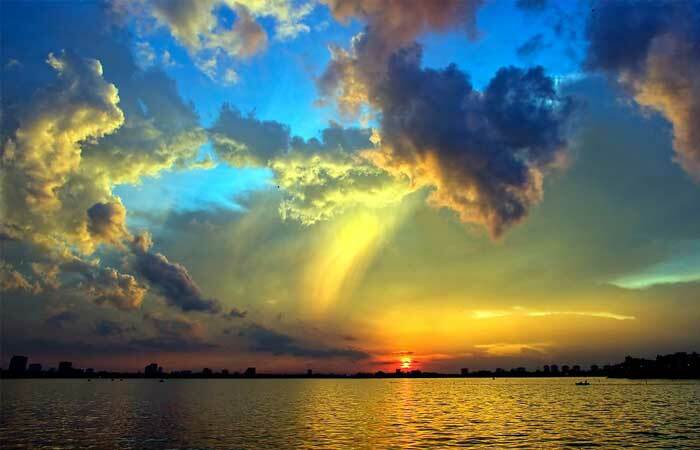 It is also named as Mu Suong Lake (Foggy Lake), Trau Vang Lake (Golden Buffalo Lake) and Xac Cao Bay (Fox Corpse Swamp). 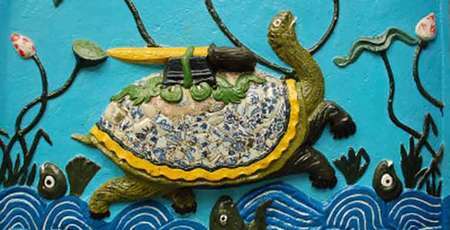 There is no shortage of captions related to these names each of which carries folk stories. 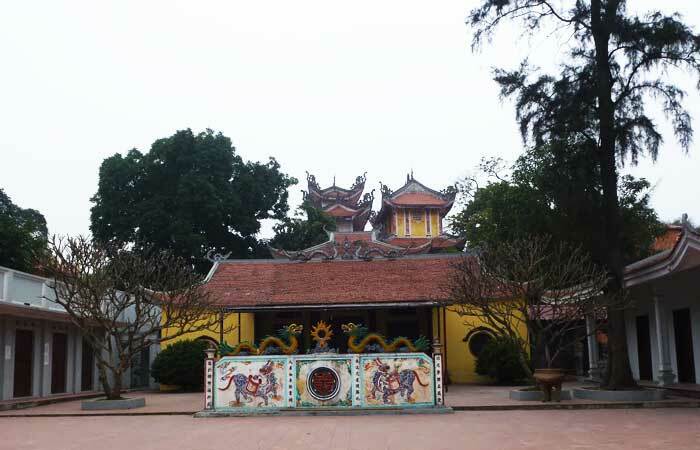 West lake has a total of 64 ancient relics classified as national heritage sites, including 21 temples and pagodas, some of which are believed as the most sacred ones such as Tran Quoc Pagoda, Quan Thanh Temple, Phu Tay Ho Temple, Yen Phu Temple, Kim Lien Pagoda, Tao Sach and Van Nien Pagoda. 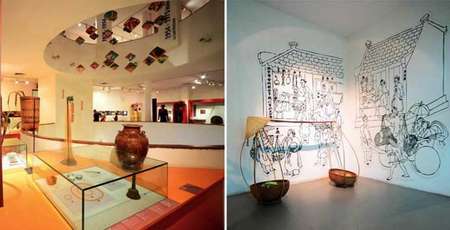 Moreover, the historical traces for centuries are clearly visible through the ancient villages, each of which has preserved more or less a historical myth like Nghi Tam village with Kim Lien pagoda, Xuan Tao village with Soc Temple dedicated to St. Giong, Trich Sai village with Thien Nien Pagoda dedicated to the founder of Linh silk weaving craft, Thuy Khue village with Ba Danh pagoda and Nhat Tan village with its famous peach horticulture. 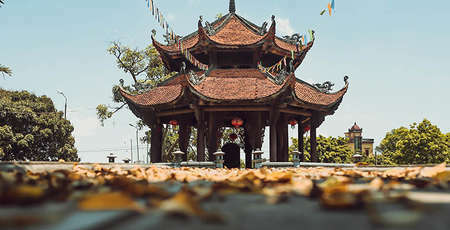 Tran Quoc Pagoda, originally constructed in the 6th century, is regarded as one of the four oldest and most sacred pagodas in Hanoi. Nestled in a green peninsula like a gem in the middle of the lake, spanned by a beautiful bridge, he is reputed to be one of the most beautiful pagodas in the world. 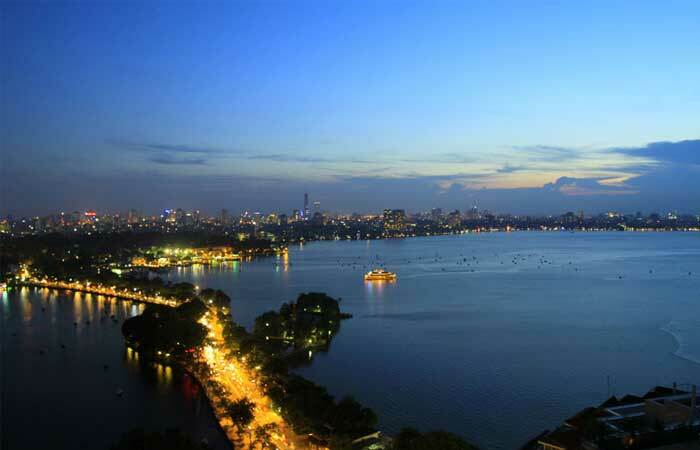 Thanh Nien Street which separates the lake in two with one side, the big part, West lake and on the other side, the smaller one Truc Bach lake, each with its charm, complementing each other in perfect harmony. Strolling along this street, you can immerse yourself in daily life with so much color and sweetness. The images of vendors selling vibrant flowers of all sorts on antique bicycles from large horticultural villages in the suburbs we catch every corner around the lake. During the summer days, all the streets nearby becomes radiant with bright purple flowers "bang lang" and bright red flamboyant. With a relaxing atmosphere by the immense surface of water, not only lake inhabitants but also visitors flock to the lake to enjoy the fresh air and enjoy its magnificent view. Early in the morning, people of all ages gather there to exercise. It's also a vantage point for photograph enthusiasts hoping to capture the serene beauty of the lake at duck. Even when the night falls, it is never neglected but full of couples hand-in-hand and clusters of people fun chatting. 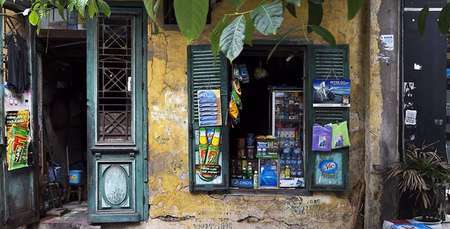 There is not lacking of centuries old vestiges to discover, flowery paths to stroll, benches to rest and also cool restaurants and cafes to cool you off, therefore West lake is a must-stop to enlighten your stay in Hanoi.